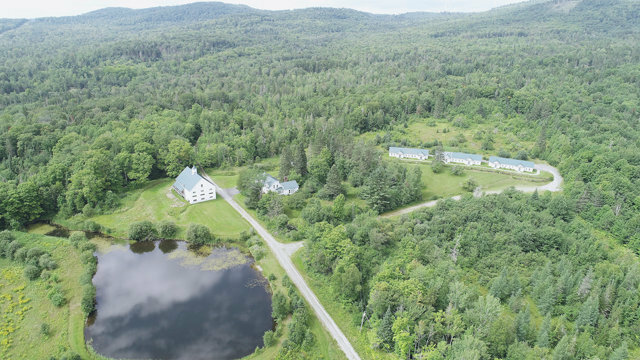 Commercial Sale - Sutton, VT Former King George boarding School situated on the southeast side of Sheffield Heights with 300 acres of open meadows and beautiful woodland overlooking Burke Ski Mountain and into the White Mountains and valleys. Thirteen buildings constructed and renovated between 1920 through 2000 with a total of 58,000 sq.ft. Dormitory buildings for 96, main classroom building with 22 rooms including a theater, art studio, computer lab, dance studio, 7 classrooms, and dining hall with kitchen. Administration building has 14 rooms, 8 of which were offices. Large barn used for recreation room, woodworking & offices. Community center, sugarhouse, meeting house, & maintenance along with many other buildings. Two spring fed ponds and a recreational field. Easy access to Interstate 91. Multipurpose property can be used for family retreats, training camp or rehabilitation center to name just a few. Think of the possibilities!